In 1991 the Board of Directors of the West Virginia Chapter of HFMA established The Penman of the Year Award to be given out in the 1991-1992 fiscal year and every year there after. The Penman of the Year Award will be given to a Chapter Member who authors the best original technical article for publication in the Chapter newsletter. Award levels will be $250 for First Place, $150 for Second Place and $100 for Third Place. The article must meet the same guidelines established by National HFMA for publication in a newsletter. All members are encouraged to submit articles for publication. In 1991 the Board of Directors of the West Virginia Chapter of HFMA established The Speaker of the Year Award to be given out in the 1991-1992 fiscal year and every year there after. The Speaker of the Year Award will be given to a Chapter Member who makes the best presentation at a Chapter Education Session. The Awards Committee will review session evaluation forms to determine the best presentation. The presentation must be on a technical subject and cannot be part of a round table presentation. All members are encouraged to make presentations at Chapter education sessions. 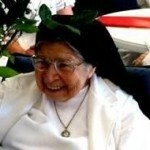 Sister M. Madeleine Lopez has been an instrumental member of the West Virginia Chapter of HFMA since 1954. Ms. Lopez has served the Chapter in various capacities including the position of President twice in 1959-1960 and 1966-1967. She is also the recipient of the Follmer Bronze, Reeves Silver, and Muncie Gold and was awarded the Founders Medal of Honor in 1987. To honor Sister M. Madeleine Lopez for her many years of faithful and dedicated service to the West Virginia Chapter of HFMA the Sister M. Madeleine Lopez award was developed in 1999. The award is presented to a new chapter member for their outstanding support and participation in the activities, goals and achievements of the Chapter. Only West Virginia Chapter members who have joined the chapter in the previous 18 months are eligible. Lucille P. Craft was instrumental in the founding of the West Virginia Chapter of the Healthcare Financial Management Association, then known as the American Association of Hospital Accountants. As one of the seventeen charter members, Mrs. Craft served as Chapter President in 1954, the year the charter was granted, and again in 1964. After her retirement, Mrs. Craft continued for many years as permanent secretary to the West Virginia Chapter. In addition to being the recipient of the Follmer Bronze, Reeves Silver and Muncie Gold founders merit awards, Mrs. Craft was awarded the Founders Merit of Honor for outstanding service to the Chapter, the community, and the healthcare industry. To honor Mrs. Craft for her many years of faithful and dedicated service to the West Virginia Chapter, the Lucille P. Craft Award was developed in 1983. The Board of Directors presents the award to a Chapter member, other than an officer, in recognition of the member’s outstanding support and participation in the activities, goals and achievements of the Chapter. Walter R. Mitchell, Jr. has been an instrumental member of the West Virginia Chapter of HFMA since 1963. Mr. Mitchell has served the Chapter in various capacities including the position of President twice in 1967-68 and 1978-79. Mr. Mitchell is currently retired and is a Chapter Life member. In addition to being the recipient of the Follmer Bronze, Reeves Silver and the Muncie Gold Founder Merit Awards, Mr. Mitchell was awarded the Founders Merit of Honor for outstanding service to the Chapter, the community, and the healthcare industry in 1987. To honor Mr. Mitchell for his many years of faithful and dedicated service to the West Virginia Chapter, the Walter R. Mitchell Jr. Award was developed in 1991. The Board of Directors will present the award to a Chapter member for the first time in 1991 that demonstrates the best “well rounded” member including their contribution to the Chapter, other professional organizations, their employer and community service. Alex J. McFadden lost his short but courageous battle with cancer on March 29, 2012. Alex served many roles in the WV Chapter and HFMA National. He served as WV Chapter President 2005-2006 and then went on to serve as the Regional Executive in Region IV. Alex also served on the Chapter Advancement Team for National HFMA. In the weeks before his passing, he was appointed to a National Board position on the National Advisory Council. Alex was the recipient of different WV Chapter awards including the Walter R. Mitchell, Jr Award in 1999 and Speaker of the Year in 1998 and then again in 2001. He was also active on many different committees within the chapter. Alex never knew a stranger and all who had the opportunity to meet him have fond memories of him and especially his laughter will never be forgotten. The award was named for Frederick C. Morgan, who joined the Association in 1948. His outstanding efforts included a six-year tenure as a volunteer secretary-treasurer. The Morgan Award is the most prestigious individual award given by HFMA and is designed to encourage the spirit of service to the principles of the Association as fostered by Morgan himself. Morgan retired from healthcare in 1965 and died in Rochester, N.Y., in 1985. HFMA members and chapters may submit nominations, which are reviewed by a committee..
Chicago – May 5, 2011 – The Healthcare Financial Management Association (HFMA) will award Robert D. Miller, FHFMA, the 2011 Frederick C. Morgan Achievement Award-the Association’s highest individual honor. He will be the 53rd recipient of this prestigious award that honors career-long contributions to healthcare financial management and HFMA. Miller has, been a member of HFMA since 1984. He spent his first years of membership in the West Virginia Chapter, where he became involved and assumed the duties of chapter president by 1993. He served as a regional executive, worked on several task forces, offices and committees, and served on the HFMA National Board from 1995 to 1997. Miller won the HFMA Founders Medal of Honor Award in 1998 and is a recipient of other West Virginia Chapter and national HFMA awards. With his move to Coshocton in 2002, Miller joined the Central Ohio Chapter and has been a key adviser in chapter reorganization, board member, membership chair, rural council chair and twice was a delegate in the US/UK HFMA Exchange. Miller was this year’s winner of the Central Ohio Chapter George M. Gevas President’s award. The Helen M Yeager Award recognizes outstanding chapter performance in the categories of collaboration, education, improvement, innovation, member communication, member service and membership recruitment and retention. The Healthcare Financial Management Association (HFMA) recognizes that its strength lies in volunteers, who contribute their time, ideas, and energy to serve the healthcare industry, their profession, and one another. Active participation in HFMA at the national, regional and/or chapter levels provides members with numerous opportunities for professional development, information, networking, and advocacy. Established in 1960, the Founders Merit Award Series acknowledges the contributions made by HFMA members. These awards are part of a merit-rating plan in which specific activities are assigned a range of point values. The Founders Merit Award Series was revised in April 2004, returning to its core purpose of “Recognizing the Volunteer in You”. Point categories were adjusted to reflect volunteer activity only – eliminating the accumulation of points for membership and educational attendance. Corresponding point allocations and award levels were simultaneously adjusted. HFMA encourages continuous active participation at the local and national levels. Therefore, the point system and award levels have been established to promote continuous active participation in HFMA. The William G. Follmer Bronze Award is awarded after an individual has earned 25 (formerly 100) member points. This award is named after William G. Follmer, who is credited with the creation of the American Association of Hospital Accountants (AAHA) (now HFMA). The Robert H. Reeves Silver Award is awarded to an individual who has earned 50 (formerly 200) total member points. Reeves, an organizing member of the AAHA, was elected president of AAHA in 1956 and was instrumental in creating the structure of AAHA. The Frederick T. Muncie Gold Award is presented to a member who has earned a total of 75 (formerly 300) member points. This award honors Frederick T. Muncie, an organizing member of the AAHA, and the first president of the association (1947-1949). Muncie also assisted in the organization of the first AAHA chapter (First Illinois). The Founders Medal of Honor was added in 1986 and is conferred by nomination of the Chapter Board of Directors. This prestigious award recognizes an individual who has been actively involved in HFMA for at least three years after earning the Muncie Gold Award, has provided significant service at the chapter, regional and/or national level in at least two of those years, and remains a member in good standing. A chapter may nominate members for this award at any time during the year.